When I arrived at the pod, this large bull rose from the water and looked me straight in the eye. They do this to impress intruders of their territory - works like a charm. 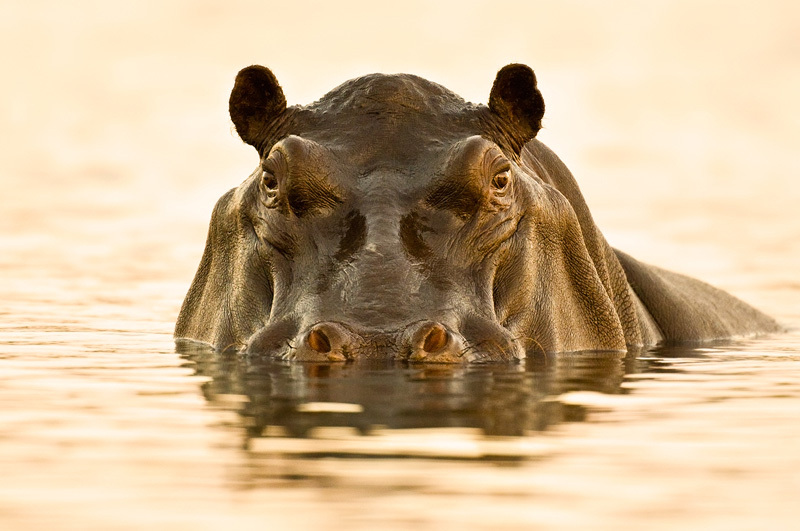 Hippos are considered to be the most dangerous mammals in Africa, because they cause the most deaths each year.